Today I bring you another Kickstarter project which may become of your interest, although it is more oriented to MINDOSTORMS enthusiasts in a certain way. And I say this because it focus on LMS motors and sensors but proposes to use them connected to and controlled by an Arduino shield - EV3Shield. This is a project from a team behind two brands, one of which should be well know from all of us - mindsensors.com. In the Kickstarter campaign the project appears associated with optoelectrons.com brand, but in reality the project itself is being advertised also at mindsensors.com website. It happens these are two brands of the same robotics development team. One more oriented to a younger audience and schools (mindsensors.com) which you should know better, and another best suited to address the hackers and makers developing for Arduino and Raspberry Pi platforms. Hence this projects targets the Arduino developers, but that's enough for an introduction and let's see the video that presents the project at KS. This is an easy to use Arduino Shield for smart Robotics projects with LEGO EV3/NXT sensors and motors. 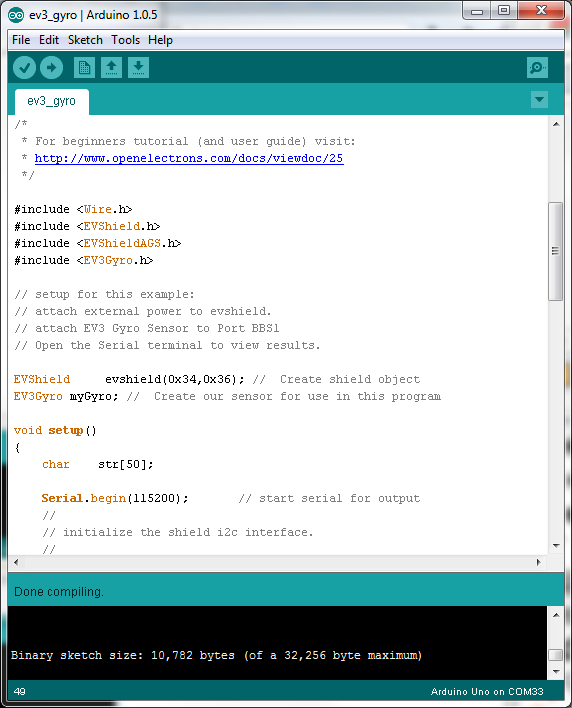 It can be programed in Arduino IDE with C++. If you find the MINDSTORMS official or 3rd party programing environment too restrictive, this may become the robotics solution/kit that fits your needs and expectations. Two of each, on each side. It works with Arduino Uno, Duemilanove and Leonardo boards. One interesting aspect is this project is already funded at this moment, because the more than 100 backers so far, already pledged almost $7.500, well above the $1.600 defined by OpenElectrons.com. It looks more like an advertising strateg, than really a funding need for the development/production. But at least you have several pledge options and most likely to get this at a more convenient price, than ordering the final product when it becomes commercially available. Go and see the full details at EVShield Kickstarter page!